WAR, Int’l shares a vision that is dynamic. Moving against the grain, we press on, investing time, energy, and hope into the lives of wounded women. It is our goal to create circles of protection around rescued and at-risk women, inspiring them to trust again. This can only be accomplished through love, encouragement, and most essentially; growth. In our US Training Center, women progress through five tiers of training. Each tier focuses on building a sense of belonging, responsibility, and the basic skills necessary to live as healthy, self-sustaining members of society. For the past year, at-risk women have harnessed their skills and talents by crafting jewelry in our USTC. Over time, their skills sharpen and their lives reshape, opening up new possibilities. These women begin to realize that the hope of a future, full of dreams and possibilities, dances on their horizons. WAR, Int’l wants to offer more. Empowering women goes beyond jewelry making, fortified through diverse skill sets, experiences, and vocations. Along with jewelry, WAR, Int’l will offer a second path through which women, exposed to this opportunity, can learn basic but sought-after skills. Tea Trade Café is coming soon to WAR, Int’l Headquarters! Located on 44th Street, Tea Trade Café will train women in business skills and as “baristas,” giving them mobility across the nation and a resume to nullify their past. This dream includes you. The community is welcome to enjoy the café and pour into the lives of these women. Come by for a casual, creamy cup of coffee or a classy, relaxing tea party. Soak up and delight in an atmosphere of hope and renewal. Besides beverages and pastries, Tea Trade Café will also have a stage. This is the place to share your talents by singing, playing an instrument, performing spoken word, or whatever other ability God has given you. If you find you live far away, it is still possible to get involved in real, significant ways. To complement the efforts of Tea Trade Café, WAR, Int’l hopes to launch a Tea Trade Circle. 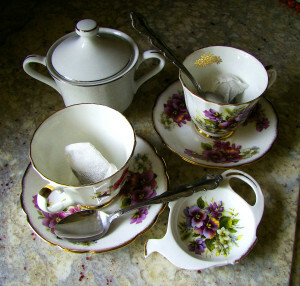 If you have tea cups you no longer want or use, WAR wants them. Send us your cup with a story, even just a sentence, of what it means to you. We will either sell it or take donations for them in our café and let your story travel across the nation. Any donation made to Tea Trade Café will be matched, and therefore doubling all contributions. This is a movement with the potential to impact the lives of many, and we need your help. Come along side WAR, Int’l and aid us in creating a program that will flourish. No matter your cup of tea, we encourage you to take part in Tea Trade Café and create a place of security and restoration for at-risk women.